I am not a wine drinker, but I am pretty sure these Halloween wine bottle toppers would look cute on bottled soda too. You could probably even make an inexpensive felt version of the hat and cape if you wanted one for each of your Halloween party guests. I might have to give that a try! 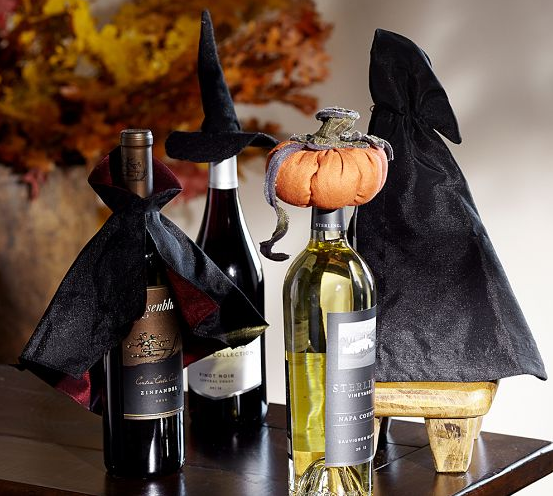 You can pick up a set of these Halloween bottle toppers from Pottery Barn.